Hamilton is arguably the greatest of all the great Founding Fathers of the United States, the most morally exceptional nation in human history—that is, the most individualist, freedom-loving, and rights-respecting nation. Pushers of “identity politics” disdain such values and principles, and insist that people be judged not by the content of their character, the solidity of their logic, or the liberty in their politics (things over which they have control) but instead by their race, ethnicity, or gender (things about which they lack choice). 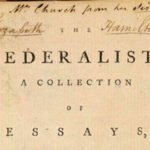 I regard Hamilton objectively as the greatest of the Founders because he alone contributed in each of the five phases necessary to create the United States of America: the moral-ideological case for political independence (1774–1775), the formal declaration of independence (1776), the Revolutionary War (1775–1783), the creation and ratification of the Constitution (1787–1788), and the practical implementation and administration of the new federal government under President Washington’s two terms (1789–1799). Other Founders were important in some of these five phases but not in all of them. In wartime, Hamilton first trained troops but soon was hired by General Washington as a main confidant and aide-de-camp. Hamilton helped manage the army, solicited loans, secured supplies, and even contributed heroically to the final, victorious battle (and Britain’s surrender) at Yorktown in 1781. In his spare time he studied economics and law, corresponded with older, experienced political leaders, and devised concrete plans to improve American governance and public finances in peacetime. After the war’s end in 1783, nothing was inevitable about an ultimate union among the original thirteen states. Many citizens of Virginia referred to that state as their “country” and wanted no part of any wider political union. The states, no longer facing a common enemy in Britain, increasingly fought among themselves over bad debts, depreciating monies, trade barriers, and fugitive slaves. Overall, the nation was bankrupt and in political-economic disarray. The American “divorce” from Britain in 1776 didn’t mandate a subsequent “marriage” among the thirteen American states, as was attained by 1789. A war had to be won, a case made, opposition rebutted, a frame built, a charter ratified, officials elected, a government administered, public debts paid, money fixed, and an economy revived. More than anyone, Hamilton envisioned this sequence, then helped make it happen. Hamilton put the “U” in U.S.A. Statue of Hamilton (1757-1804) by James Earle Fraser at U.S. Treasury Building in Washington, D.C. Photo by Karen Nutini. Hamilton is best known for his financial brilliance, exhibited especially as the first U.S. Treasury secretary, 1789–1795. In a few short years, he authored comprehensive plans of fiscal and monetary reform that, once approved by Congress and enacted by his office, transformed the federal government from a debt-defaulting bankrupt, issuing worthless paper money, into an honorable debt-payer, practicing fiscal rectitude while issuing a gold-silver based dollar. It wasn’t Hamilton’s fault that the Revolutionary War entailed massive deficit spending and excessive public debts; nor was he some proto-Keynesian claiming that such a fiscal mix would “stimulate” the economy. No one likes advocating (or paying) high taxes in wartime; hence the debt. 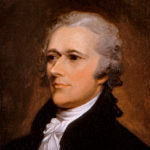 But instead of demanding reckless postwar defaults, as did his opponents, Hamilton defended the sanctity of contract and the honor of paying one’s debts. 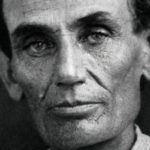 He arranged to properly service all federal debts and to relieve the states of their own debt burdens, so each could start with a clean slate and not resume interstate fights over latent imbalances of money and credit. Hamilton’s financial reforms also fostered nationwide banking and uniform tax collection via the Bank of the United States (chartered from 1791 to 1811). This was no “central bank,” as some now claim. Privately owned, it issued gold-and-silver-convertible money and lent little to the federal government; no such prudential features describe today’s politicized central banks. Hamilton arranged specifically for the bank to be apolitical, the opposite of what the Fed has been for years. “To attach full confidence to an institution of this nature,” he wrote, “an essential ingredient in its structure” is that it “be under a private not a public direction, under the guidance of individual interest, not of public policy,” never “liable to being too much influenced by public necessity,” because “suspicion of this would most likely be a canker that would continually corrode the vitals of the credit of the Bank.” If ever “the credit of the Bank be at the disposal of the government,” there would be a “calamitous abuse of it.”10 Hamilton made sure that didn’t happen; the bank was a success precisely because, unlike today’s central banks, it was privately owned and monetarily sound. To those who bother to learn about or convey Hamilton’s indispensable contributions to the founding of the United States and to its legal-financial-economic foundations,11 it is inexplicable why anyone would seek to derogate his name, his reputation, or his image—least of all the U.S. Treasury Department. If efforts to remove Hamilton from U.S. currency betray an ignorance of who he was and what he did, that’s bad enough; if instead the efforts are made despite knowledge of Hamilton’s character and accomplishments, that’s morally obscene. Such an assault on such a great man is an instance of hatred of the good for being the good—hatred of Hamilton for his virtues: that he extols and defends genuine rights instead of mere public opinion, color-blindness instead of racism, a law-respecting republic instead of a mob-ruling democracy, capitalism instead of pastoralism, gold money instead of fiat paper, and debt-paying instead of debt-defaulting. 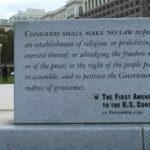 Hamilton was prescient when writing, in his final letter, that “our real Disease” is “democracy.”12 Perhaps this disease has advanced so far in our ever-more populist culture and political system that America cannot or will not interpret or honor Alexander Hamilton as the great thinker and statesmen he was. If so, these truly are tragic times. To object to this proposed injustice, and to register your knowledge that Hamilton should remain on the $10 bill, visit the websites of the Treasury and The Alexander Hamilton Awareness Society (which provides links to several petitions), and speak your mind. 1. For details, see https://thenew10.treasury.gov/. 2. Alexander Hamilton, “A Full Vindication of the Measures of the Congress” (December 15, 1774), at Founders Online, National Archives (http://founders.archives.gov/documents/Hamilton/01-01-02-0054). Source: The Papers of Alexander Hamilton, vol. 1, 1768–1778, edited by Harold C. Syrett (New York: Columbia University Press, 1961), pp. 45–78. 3. Michael D. Chan, “Alexander Hamilton on Slavery,” The Review of Politics, vol. 66, no. 2 (Spring 2004), pp. 207–31. 4. The doctrine is explicated by Hamilton in Federalist Paper #78 (June 14, 1788). He writes: “The courts of justice are to be considered as the bulwarks of a limited Constitution against legislative encroachments.” See http://www.constitution.org/fed/federa78.htm. 5. Ron Chernow, Alexander Hamilton (New York: Penguin Press, 2004), p. 4. See also this book reviewed in The Objective Standard, Fall 2012, vol. 7, no. 3. 6. Thomas Jefferson, Notes on the State of Virginia (1781–1783). See http://xroads.virginia.edu/~hyper/JEFFERSON/ch19.html. 7. Alexander Hamilton, “Final Version of the Report on the Subject of Manufactures (December 5, 1791), at Founders Online, National Archives (http://founders.archives.gov/documents/Hamilton/01-10-02-0001-0007). Source: The Papers of Alexander Hamilton, vol. 10, December 1791–January 1792, edited by Harold C. Syrett (New York: Columbia University Press, 1966), pp. 230–340. 8. Alexander Hamilton, “Report Relative to a Provision for the Support of Public Credit” (January 9, 1790), at Founders Online, National Archives (http://founders.archives.gov/documents/Hamilton/01-06-02-0076-0002-0001). Source: The Papers of Alexander Hamilton, vol. 6, December 1789–August 1790, edited by Harold C. Syrett (New York: Columbia University Press, 1962), pp. 65–110. 9. Alexander Hamilton, “Report on a Plan for the Further Support of Public Credit” (January 16, 1795), at Founders Online, National Archives (http://founders.archives.gov/documents/Hamilton/01-18-02-0052-0002). Source: The Papers of Alexander Hamilton, vol. 18, January 1795–July 1795, edited by Harold C. Syrett (New York: Columbia University Press, 1973), pp. 56–129. 10. Alexander Hamilton, “Final Version of the Second Report on the Further Provision Necessary for Establishing Public Credit (Report on a National Bank)” (December 13, 1790), at Founders Online, National Archives (http://founders.archives.gov/documents/Hamilton/01-07-02-0229-0003). Source: The Papers of Alexander Hamilton, vol. 7, September 1790–January 1791, edited by Harold C. Syrett (New York: Columbia University Press, 1963), pp. 305–42. 11. For a good example, see the Alexander Hamilton Awareness Society (http://www.the-aha-society.com/). 12. Letter “From Alexander Hamilton to Theodore Sedgwick” (July 10, 1804), at Founders Online, National Archives (http://founders.archives.gov/documents/Hamilton/01-26-02-0001-0264). Source: The Papers of Alexander Hamilton, vol. 26, 1 May 1802–23 October 1804, Additional Documents 1774–1799, Addenda and Errata, edited by Harold C. Syrett (New York: Columbia University Press, 1979), pp. 309–11. 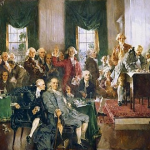 Actually, Rhode Island didn’t join under the new Constitution until August 31, 1790. Big Hamilton fan myself, but while he wrote some pamphlets and fought in the war, he did not participate in the formal declaration of independence in any way (far too young at the time). Yes, I wonder what Dr Salsman meant by that. Hamilton was 19 in ’76. The youngest signer was 26. Agreed that Hamilton was one of the most remarkable founding fathers and a brilliant advocate for the new country. 1. That the Bank of the U.S. was necessary and crucial to the success of the new country. 2. That Hamilton’s insistence on a government controlled mint was a good idea. While the bank was partially privately owned (though I gather 20% at least was owned by the Federal government), it was a government chartered bank, and maybe a monopoly bank in that no one else could have the same Congress-imposed qualities as this bank. So, in my limited knowledge about this part of our financial history, I’m less certain than your article indicates, that the BoUS was a necessary and best approach. Since the Bank was dissolved in 1811, and then the Second BoUS was dissolved in 1837, we then had the free banking period of about a quarter century, and the question there is whether this was overall a better way of operating, or whether there was some rational role for the Federal government that was not being used during that period. I don’t know the answer, but any claims that the Federal Government should create legislation chartering a main bank such as the BoUS, or that there must be legislation creating National banks (as after the Civil War), puts the onus on the person asserting that those are good things in a free market. I found this article fascinating and informative, especially following a recent, lengthy discussion of Hamilton with some friends. However when I reached the paragraph that begins “To those who bother to learn about….” I was stopped by the seemingly gratuitous accusation of deliberate ignorance, that is, not bothering to learn. The rest of that paragraph was similarly filled with moral accusations, including the “…hatred of the good for being the good…” and similar ‘moral boilerplate’. Since people reading the article were, like me, definitely bothering to learn, I wonder to whom this was addressed. The moralistic tone of this paragraph is not a helpful way to inform or persuade, and especially when addressed to those reading the TOS Blog. This is an excellent tribute to the great man who “put the ‘U’ in U.S.A.” Dr. Salsman wrote a fitting defense of Hamilton, who should require none. Chernow’s bio of Hamilton says Hamilton’s wife, Eliza, committed “to rescue her husband’s historical reputation from the gross slanders that had tarnished it.” Similarly, Salsman refreshingly and convincingly reminds us of how worthy Hamilton is of being pictured on the $10 bill. Should our efforts to keep him there fail, it will be just another sign of the how worthless our fiat money is. Given Hamilton’s rejection of naked paper currency, I doubt he would be too upset about being removed from one of today’s “continentals”. I rather think he would welcome it. Great article and information on Hamilton, thanks for that. On being upset about his removal from the $10 bill, don’t be. Anymore, it’s just an icon on fiat currency, not worthy of great patriots likenesses. Perhaps Hamilton’s removal from the $10 bill is the Treasurers’ subconscious admission that America no longer deserves to have its greatest Founding Father grace its money. Rather than hatred, we could consider it a tacit act of justice. 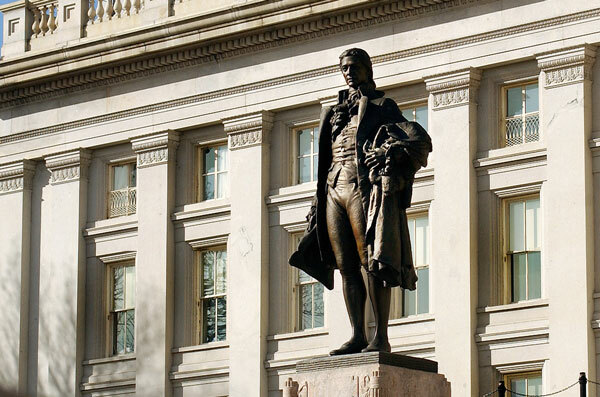 On the ranking of Hamilton as our greatest Treasury secretary, without diminishing Hamilton, I suggest an alternative – Albert Gallatin, our longest serving Treasury secretary. 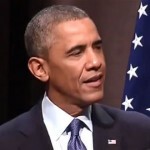 His successful program of debt reduction, spending program elimination, and tax reform speaks to the needs of today. In general, I agree with the praiseworthiness of Hamilton. This cannot be said often enough – “The Bank of the United States (chartered from 1791 to 1811) …was no “central bank”. People tend to confuse the concepts of central bank, legal tender laws, and fractional reserve banking. I think Hamilton is often vilified without justification. He had numerous accomplishments in many different areas. However, I disagree he was the greatest founding father. (personally I would pick Franklin) Despite Hamilton’s financial brilliance (which exceeded all the other founders) he had a ‘Mercantilist’ bent, which is why he pushed the still tax (Whiskey rebellion). He specifically set up the tax to drive out small distillers and concentrate capital in large producers. He compounded this error (evil) by urging Washington to use the military to put down the Whiskey Rebellion instead of repealing this unjust tax. This severe lapse of judgment, I would argue, is based on Hamilton’s religious conservative bent. The Whiskey Rebellion and Hamilton’s anti-reason stance are severe enough flaws that I do not think Hamilton can be considered the greatest founding father.